Despite my love for Turkey, one aspect of living in the country that I absolutely hate is learning how to speak Turkish. Do I need to know it? Many expats live in Turkey without speaking the language but I believe that life is a lot easier when you know the lingo. So anyone who wants to be bilingual goes through three stages when learning a language. I can speak, read and write an intermediate level of Turkish but I have one big stumbling block. I cannot pronounce the words properly. I avoid saying many words because mispronouncing one vowel can change the whole meaning of what I am trying to say. So when the guys over at Hands on Turkish asked me to review their product, I had a good incentive to give it a go. “A new EU-funded project which gives individuals and businesses the chance to acquire the Turkish language and gain a better awareness of Turkish culture and business etiquette. This course is equally valuable for people visiting the country, studying the language for personal development or wishing to learn more about this beautiful and rich language”. Their courses contain more than 80 hours, 600 files of audio lessons and roughly 300 pages of content. The courses are also available in apps for smartphones and iPads but the absolutely best part of it, is that it is free! There is no charge and you don’t have to sign up either. Each module is separated into lessons which cover dialogue, words, audio tests, pronunciation, quizzes, cultural and language notes. An easy to use admin panel describes the task in hand, and for the quizzes, it marks your answers when finished. For beginners, this course is perfect because it covers everyday greetings, words such as objects in your bathroom, and phrases you might use at the airport or in a hotel. As well as the first 3 modules from the beginners course, Hands on Turkish includes 5 more modules. 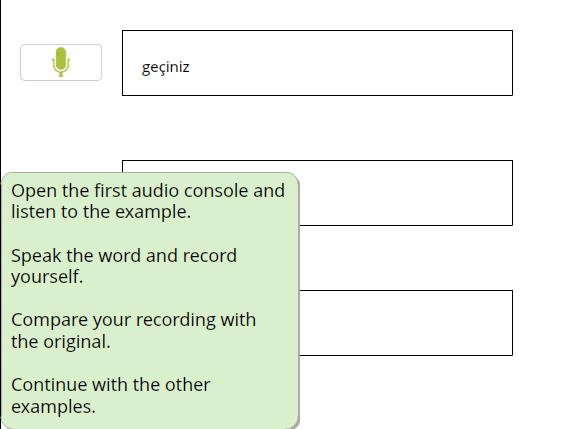 So I mentioned before that my main problem regarding the Turkish language is pronunciation and I was eager to see how the lessons tackle this. Instructions were to listen to the audio recording, which first says the word or phrase at a normal pace, and then repeats it slowly so each letter can be heard. I then had to record myself saying the word and compare it to the original recording. It worked, and I was able to talk like a Turk, although I think repeat lessons are needed to make sure it sticks. TIP: Repetition is important when learning a new language. Aim to repeat a word 20 times to help yourself remember it. Is the learn how to speak Turkish course suitable for everyone? Yes. By the end of this course, the lesson structure moved from single words to full sentences that someone would use whether travelling for business or pleasure. So if your aim to learn Turkish is purely for fun, don’t be put off by modules like the business meeting, because phrases within that section such as being in restaurants will still come in handy. 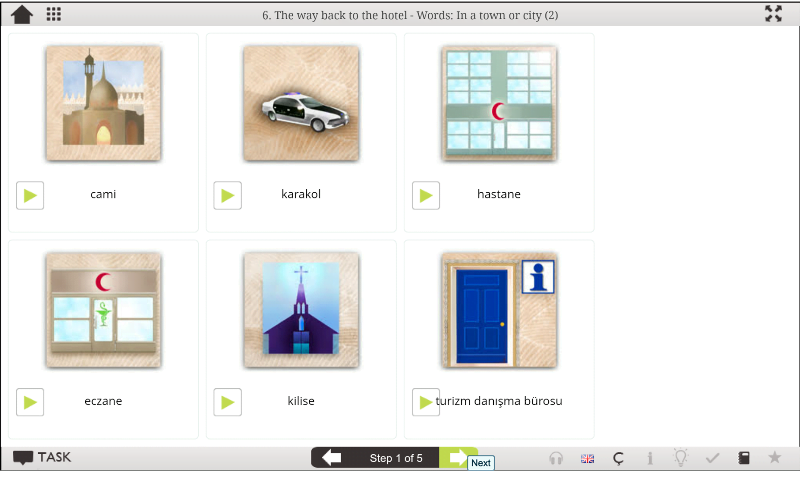 Readers : Go to the Hands on Turkish website here and enjoy learning the language. Let me know how you get on and what you think.